My biggest reward is helping athletes realize their true potential. Whether you are armed with the minimum gear or all the newest tech toys, I will design a flexible training plan to compliment your lifestyle. Your feedback will help guide the plan to a proper balance of stress and recovery to achieve maxim efficiency.
" 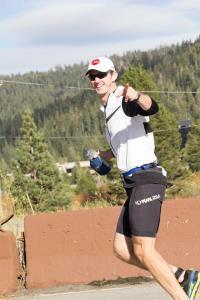 Tim Sorensen, marathoner, triathlete, and Ironman© veteran was introduced to the multi-sport lifestyle in 1998 at the Wildflower Triathlon Festival. Since then, he has trained, raced, and studied in order to share the latest technology in endurance fitness. His clients include entry level athletes to Ironman athletes, homemakers to executives of global companies. Tim's certifications include Certified Personal Trainer and Fitness Nutrition Specialist from National Academy of Sports Medicine (NASM), and also Certified Triathlon Coach from USA Triathlon and Ironman University. Over the past years, Tim has coached athletes of all levels and disciplines to new PR's, new milestones, and podium finishes. By creating Multisport Endurance Academy, Tim is able expand and promote the passion, health and comradery of the multisport lifestyle. He provides athletes with innovative, cutting edge training programs to achieve the ultimate goal of improved performance." The only requirement I have of athletes is a "can do" attitude. Success. Coach Tim Sorensen has been notified of your message.